In the Christmas spirit, and following my mom’s duties to expose Isabella to the different festivities we have ahead. I planned everything perfectly; I bought Isabella a book with a ginger bread house, and we read the book so many times, that she quickly flipped through the pages and went directly to the “candy house.” She loved it, and she would make me describe it over and over. When she was excited enough about making her own ginger bread house, we went shopping, and I bought a pre-made ginger house. I could picture the fun we would have. Baby and mommy making the house together, the result: a gorgeous and beautiful ginger house, just like in the book. Oh, the sweet smell of success. So we woke up early, just the two of us. We opened the box, and started the process. Panel A & C together, then panel B&D, a lot of frosting in between, and my house was standing. Instructions, who needs them anyways, my house is starting to look great. Then, I added a panel here and there, and voila, the roof was there. Now for the fun stuff, the candy. 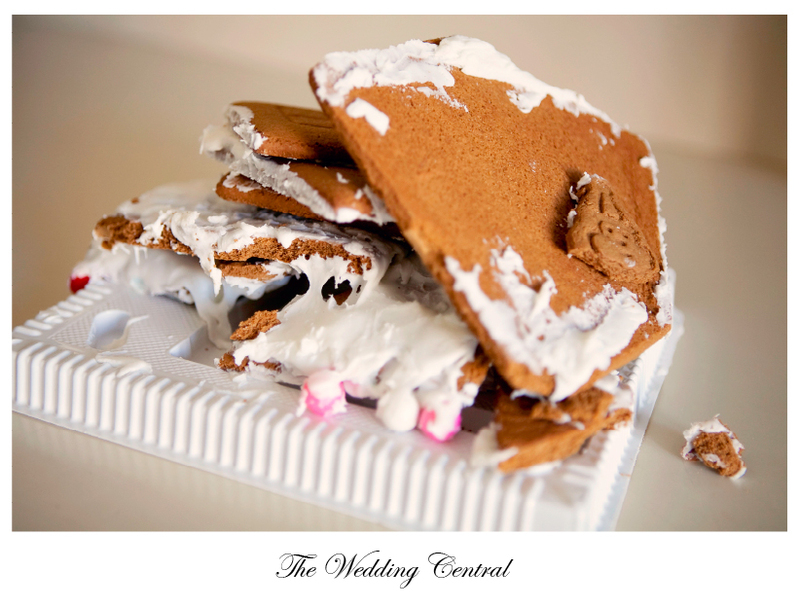 By that time, my hubby joined us, and he put the frosting on the roof, while I put candy on top – lalalalala. 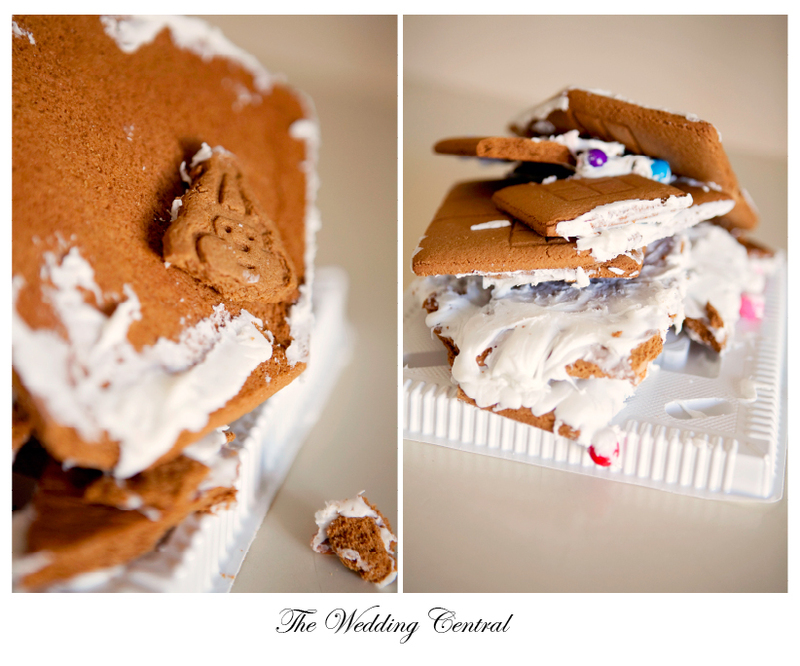 A just like that, our little house started falling apart. First the roof – hold it, hold it, while I get something to hold it – I cried. – Hurry up – he said while he laughed nervously. Then – Oh #hkhkjfhhg – he thought, while I heard the crack. This is what was left. Oh, boy if we messed up this experience for Isabella I thought while we laughed at each other. Only then, we learned that we need to wait for the frosting to dry. C’mon, a pre-made house, and I mess up. Luckily, Isabella didn’t mind. This was a happy accident for her because now she is really able to play with her ginger bread house. And oh boy, she had fun. If this doesn’t say I’m happy, I don’t know what does. So that day, I learned a good lesson. Let the frosting dry first.